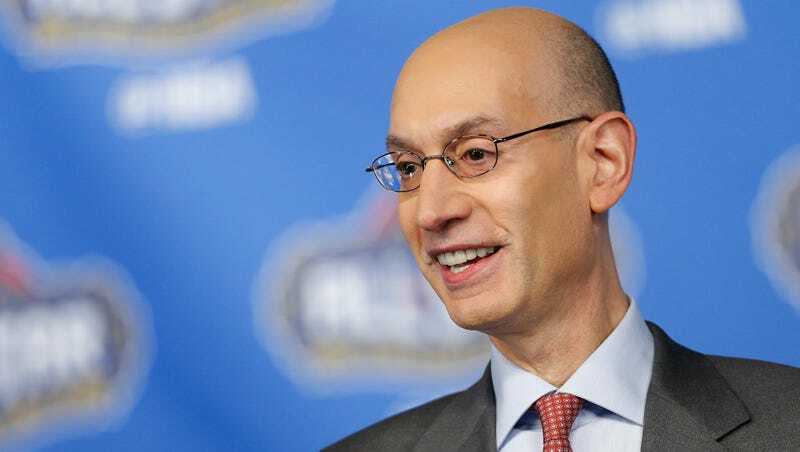 Adam Silver Wants To Ensure A Woman Becomes An NBA Head Coach "Sooner Rather Than Later"
This afternoon, the NBA launched its annual gender equality campaign with Lean In. They released several videos promoting the organization, and commissioner Adam Silver spoke with ESPN’s Ohm Youngmisuk, Lean In founder Sheryl Sandberg, and Kathleen Behrens, NBA president of social responsibility and player programs. Silver spoke about the NBA’s drive to incorporate more female officials into its officiating corps and he mentioned that the league is actively trying to get more women involved in coaching and front office jobs. I do think there are things that the league can and should be doing to accelerate the move toward a woman being a head coach in the league. We have begun a training program here in the league office so we can bring in women who have been around the game of basketball — some of them are former players or some just have a passion for the game. They begin becoming part of the network of team personnel. So that when these assistant coaching jobs become available, they are in the pipeline and in a position to potentially get those jobs. There are three women currently with NBA basketball ops jobs; Becky Hammon and Nancy Lieberman are assistants with San Antonio and Sacramento, respectively, and Natalie Nakase is a video coordinator with the Clippers. Hammon is the obvious frontrunner to get a head coaching job first, and she recently turned down a gig leading Florida’s women’s program. There’s nobody better to learn under than Gregg Popovich, after all.